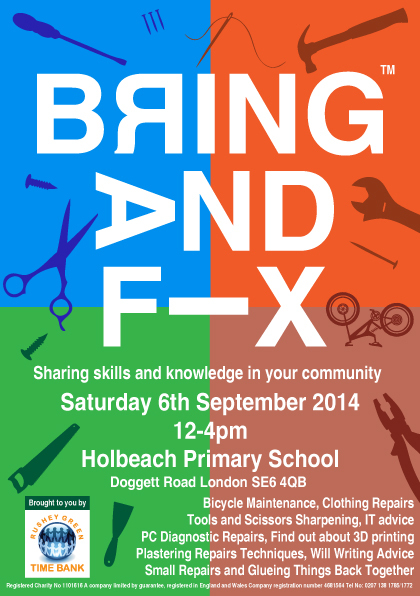 “Bring & Fix” – see how they’re doing these events in London, England. Report on the use of TimeBanking in school community activities in Wales. Read the PDF here. Instructions for forming TimeBanks in the unique terrains of a churches. United Kingdom report for the Institute for Public Policy Research (ippr) about the achievements of the SchooLets project from 2003 to 2005, and in particular about the four schools that continued the project into the final year. SchooLets is a practice development project that aimed to give schools the encouragement, advice and support to start their own community currencies (Local Exchange Trading schemes (Lets) and TimeBanks). seeking to do this through volunteering, peer support, social enterprise and co-production. TimeBanking is helping to reverse the current scaling down of social capital and is creating new types of social networks that make it easy for people to come together to share their skills, reflect on issues of common concern and take action to improve things for each other and for the wider community. A report that lists how TimeBanks delivers results with indicators that relate to community empowerment and cohesion, volunteering, social care, health and well-being and worklessness. Measuring the impact of TimeBanking on older adult members. A February 2011 study by the Visiting Nurse Service of New York demonstrating that TimeBanks participants reported improvements in physical health, mental health, access to services, financial savings, trust of others, socialization, sense of belonging, support for aging in place and quality of life. The United Kingdom’s New Economics Foundation’s 2009 report showing how TimeBanking has dealt with a variety of social challenges including mental health, community development and regeneration, older people and health, young people, and criminal justice. A 2009 report from Lehigh Valley Community Exchange, a TimeBank housed in a hospital which focuses on health in the community, recently published in the American Journal for Preventive Medicine. Read about the work of a few of the many time banks that are already offering ways to support citizens to generate their own solutions through mutual aid. A 2004 Making Connections report on Peer Technical Assistance in communities in Des Moines, Iowa; Indianapolis, Indiana; San Antonio, Texas; and Washington D.C.
Read about how communities can come together to form coalitions for the causes they wish to support. Whether it’s cleaning up the neighborhood, stopping vandalism and crime, or helping people in need, “The New Philanthropy” demonstrates the way to do it. Read about the potential of TimeBanks and Co-Production in this 2005 report. Read the findings from a qualitative study of TimeBank members from the first TimeBank in New Zealand.